The 5-in- Weather Sensor is the brain of this Weather Station. 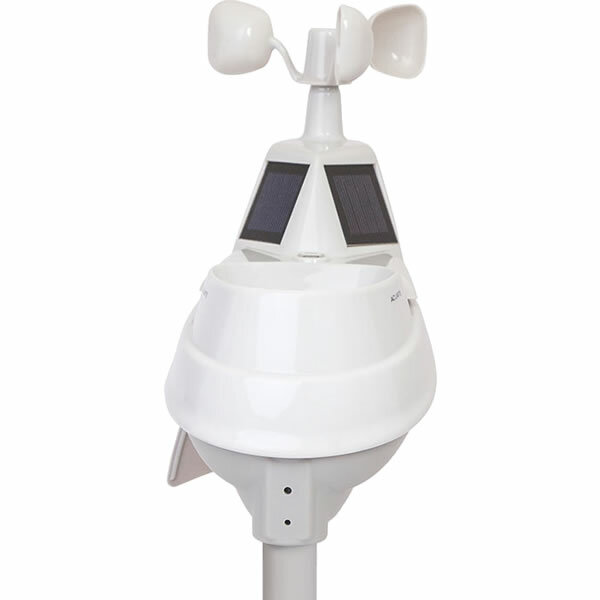 This sensor hub collects and sends information to your High Resolution Weather Station HD Display. It will transmit your accurate Rainfall amounts through the Rainfall Collector Funnel, equipped with a Debris Filter to keep junk from your rain collector funnel. 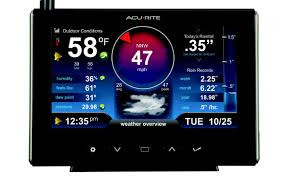 The Internal Temperature and Humidity Sensors are in inside but provide accurate results that are sent to your HD Display. There is also a Internal Aspirating Fan that draws ambient air into the sensor to reduce solar radiation heating, resulting in more accurate temperature measurements. 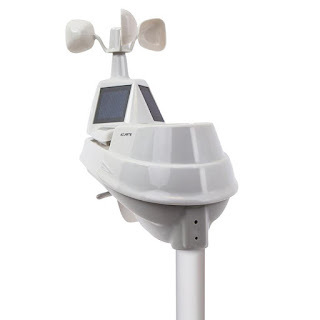 This sensor also has a Wind Speed Anemometer that provides accurate wind speed measurements. 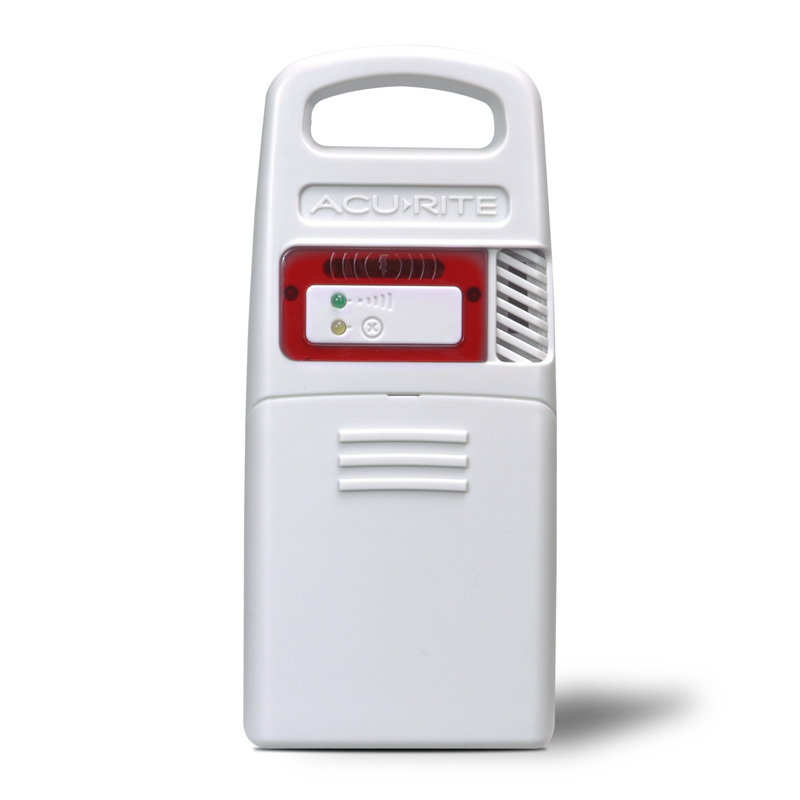 This sensor comes with a mounting bracket that allows you attach your 5-1 Sensor in just about any location, but for the best results you do not want to have something that would block you wind reading . 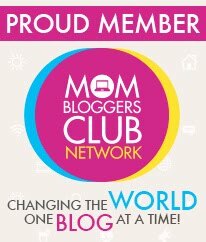 To get the ideal reading, you should mount your Sensor at least 5ft off the ground in an open area and the National Weather Service recommends that you mount it 33 ft high for optimal performance The Sensor requires 4 AA Batteries, so before any mounting is done make sure your batteries are installed. A high quality Alkaline or Lithium batteries are the best for performance. 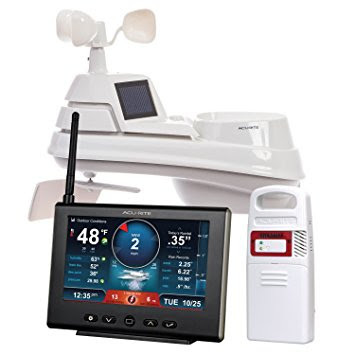 Re-chargeable batteries are not recommend The 5 -IN-1 Pro Weather Station comes with a Lightning Detector Sensor. with it's own power Adapter. This is nice for those who like to keep a close eye on the weather around them.